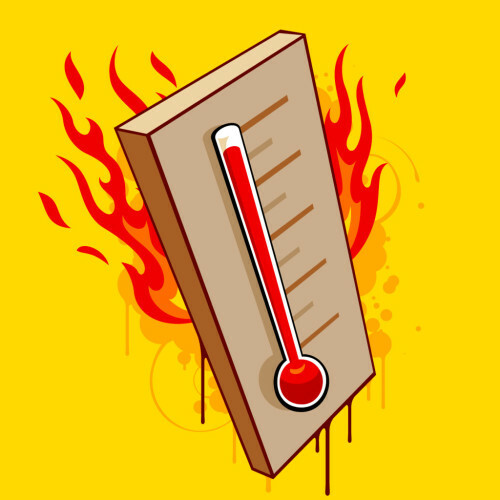 OSHA’s heat stress app “allows workers and supervisors to calculate the heat index for their worksite,” according to the agency’s website. But what about planning ahead for the heat, instead of waiting until it’s already there? While the smartphone market has boomed, federal agencies have been notoriously slow to build apps to help businesses with regulatory compliance. OSHA’s heat stress app has been around for a while. It’s a good resource. If employees know the temperature and humidity, they can enter them in the app and calculate the heat index, the real indicator of what it feels like outside. Employers and employees are instructed to take certain precautions based on the calculated heat index. But as an employer, safety manager or supervisor, wouldn’t you rather be able to plan days ahead for the heat rather than decide on action the day-of? Now you can. It’s not a smartphone app, but it’s an easily accessed webpage from the National Weather Service that gives the heat index forecast for the next five days. The Maximum Heat Index Forecasts page from NWS shows the heat forecast three to seven days from the current date. Click on the small map in the left-most column for a particular day, and you get a larger, color-coded map showing predicted maximum heat index values for that date. On the map, you can click on nearby cities to get an even more specific forecast in table form. The only downside to this NWS webpage is that it doesn’t have the heat index forecast for the current or next day. Now the good news: You can get an hour-by-hour heat index forecast from your local NWS forecast page. Go to weather.gov and put in your zip code or city. On the local forecast webpage, scroll down and click on the hourly weather forecast graph in the right column. The hourly heat index is in the top part of the graph. For more information on what the heat index means, click on this NWS page or this OSHA page. Hey web developers: Government information is free for anyone to use. Who wants to create an app that provides the heat index forecast information from the NWS? You’d have lots of safety pros and workplace supervisors using the app in no time. What online resources do you use to prepare for weather hazards? Let us know in the comments.